A consultation is a meeting with an expert or professional, such as a medical doctor, in order to seek advice. Basically, when you seek consultation, it means that you’ve encountered problems that you need help with which can only be provided by a professional. These people are there to make sure they provide you with advice or help you resolve whatever issues need to be resolved, assuming that you can no longer do it on your own. However, before these people can start providing these services, you’ll need to come to some form of agreement. 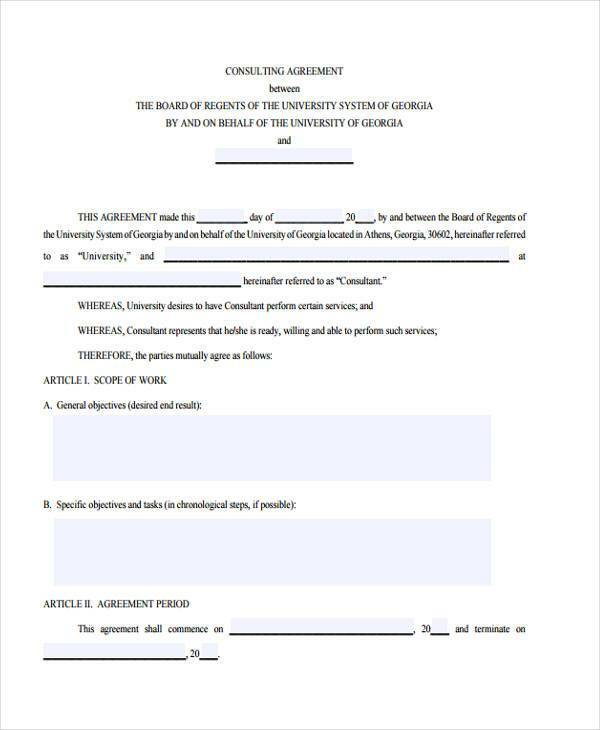 These may include set terms and conditions, such as not disclosing certain information to others. 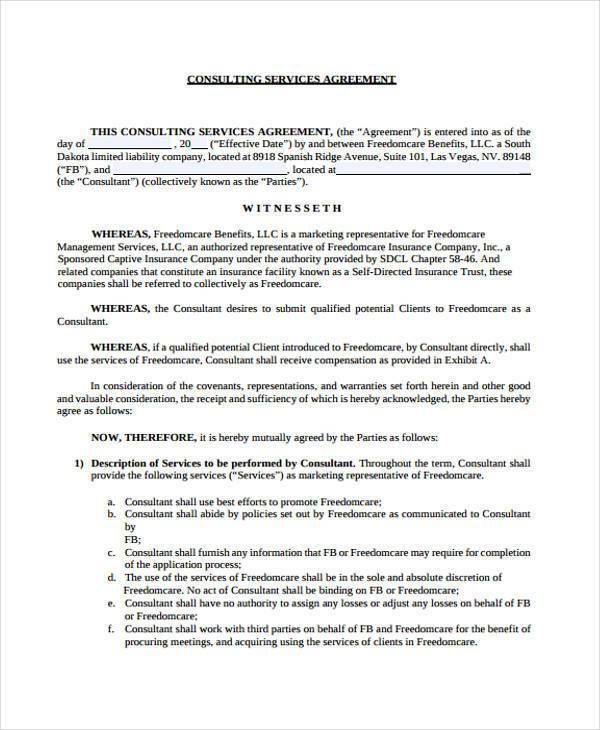 And the way to make sure that these terms are set is through the use of Consulting Agreement Forms. 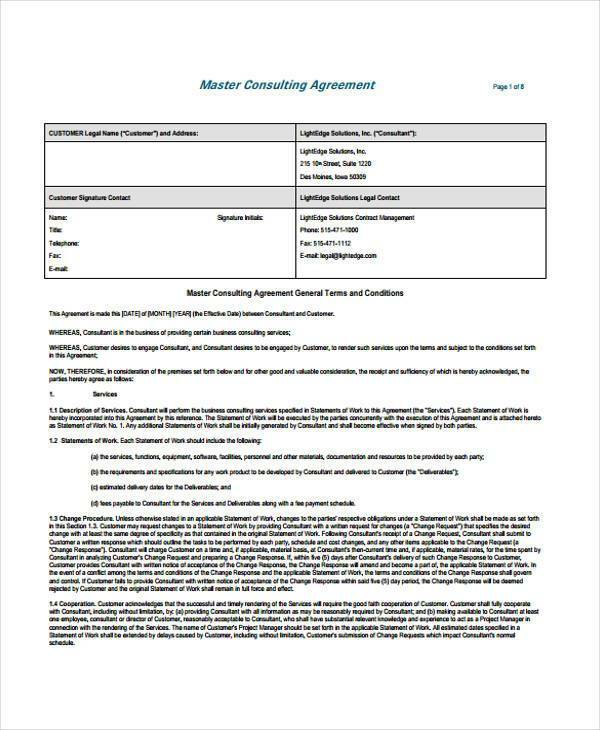 The are many different types of Consulting Agreement Forms that any professional consultant can use to guarantee that their clients understand what options they’re given, and if they agree to it or not. 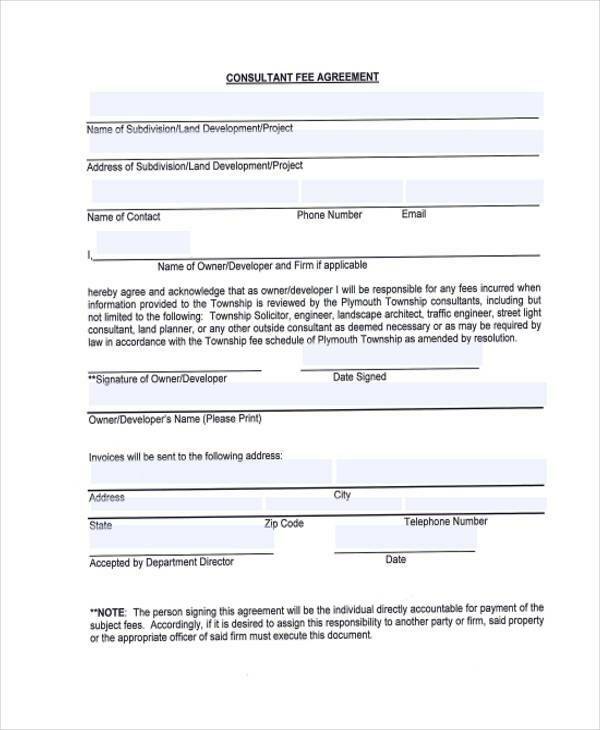 Here are some examples of these types of forms. 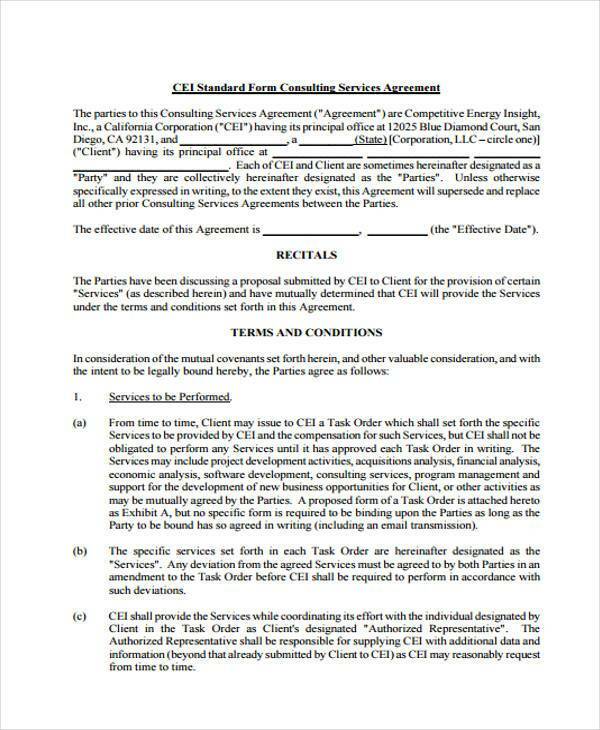 Consulting Services Agreement Forms are forms that allow people to check all the specific details such as how a service will be conducted by the consultant, along with the agreements that need to be determined before they can be provided. 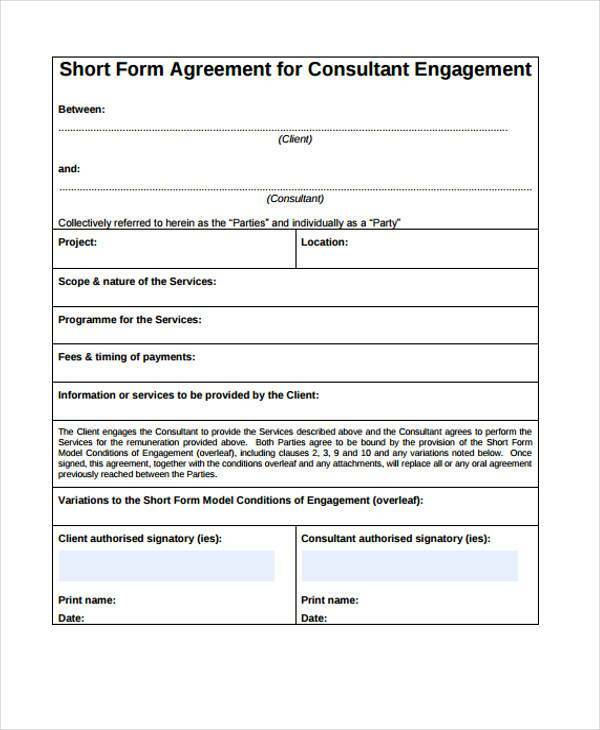 Consulting Fee Agreement Forms are mainly used to help clients determine how much the consultation will cost based on the duration and the quality of the consultancy. 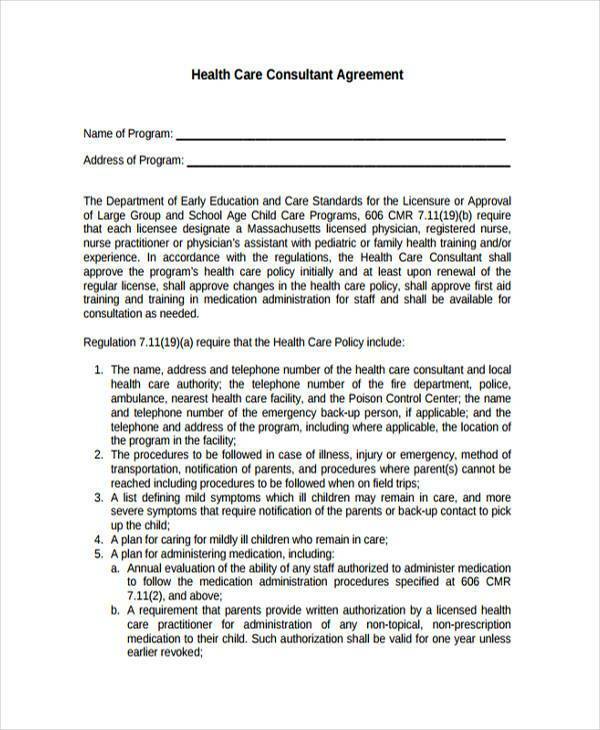 Health Care Consulting Agreement Forms are used by those people that need serious advice and help when it comes to their health care. These guarantee that these people understand their health care options and choose what’s best for them. People need to make sure that before they are provided with a consultation session, they must agree to the conditions that make up the session. For example, take a person who does not have any idea which of the following homes he should rent out or purchase. He will need to consult with a professional, but before he can do that, he’ll have to see the terms that come with the consultation. 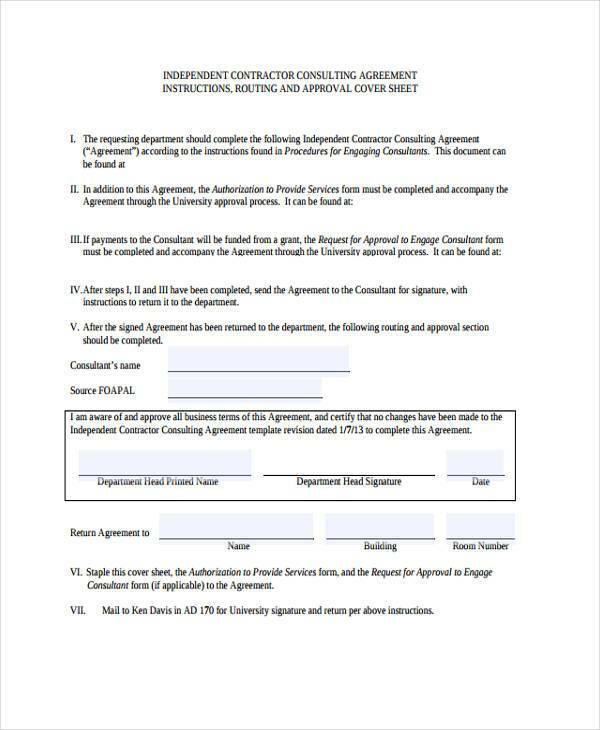 Forms like Consultation for Residential Agreement Forms are available which can help the client in determining how much the service will cost and what kind of help he will be receiving. This should only be done if you have no idea what you’re doing, which is why these people are paid to make sure that you understand your options and help choose whichever one suits your needs best. Not only does it do that, but these help clients know as to what kind of information they will be giving during the consultation. Some sessions might require you to hand out personal information that you may be unwilling to give, which is why they have agreements that specify which of this information will have to be provided. This allows you the option of whether or not you are willing to provide this information and push through with the consultation.